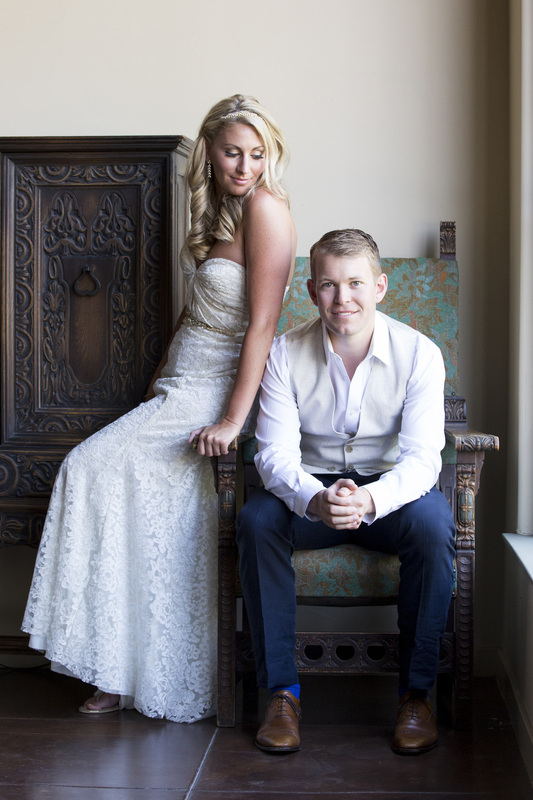 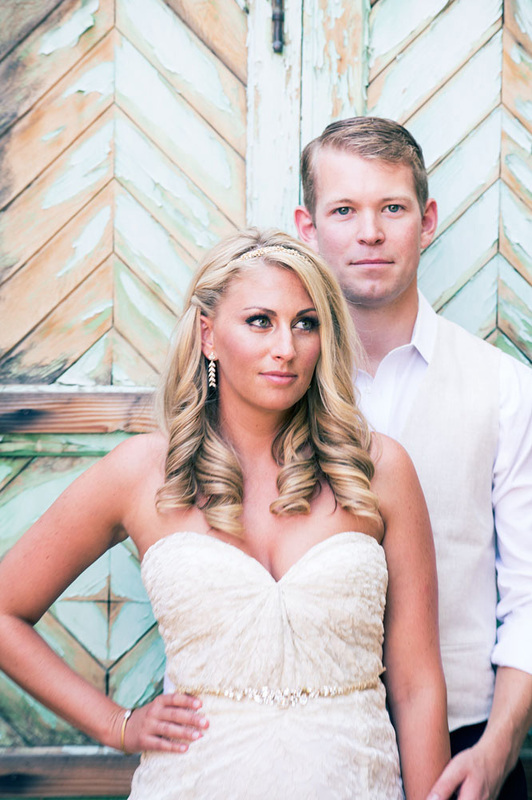 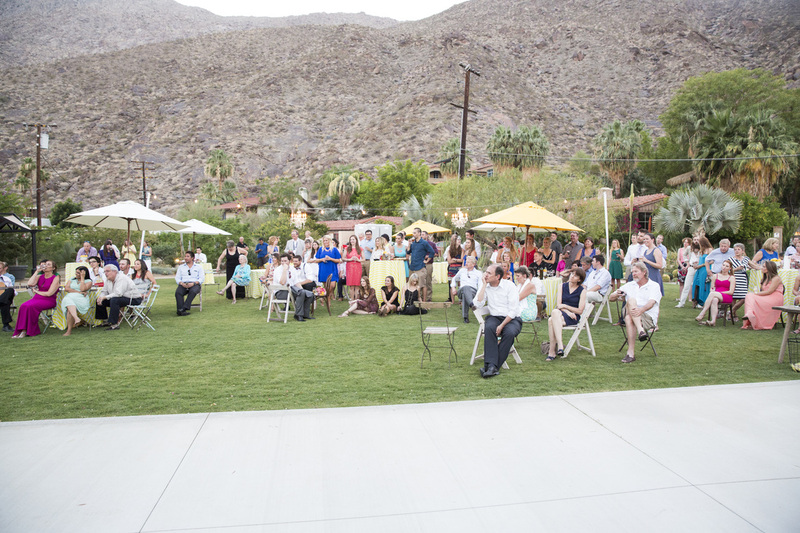 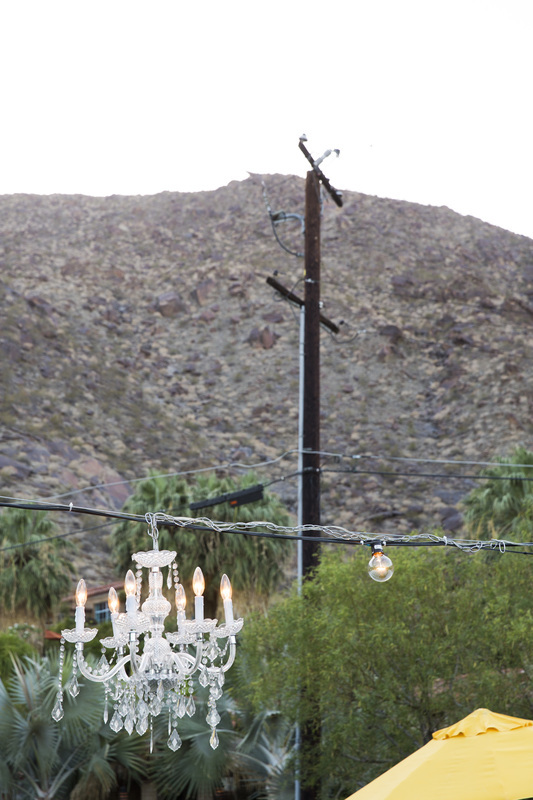 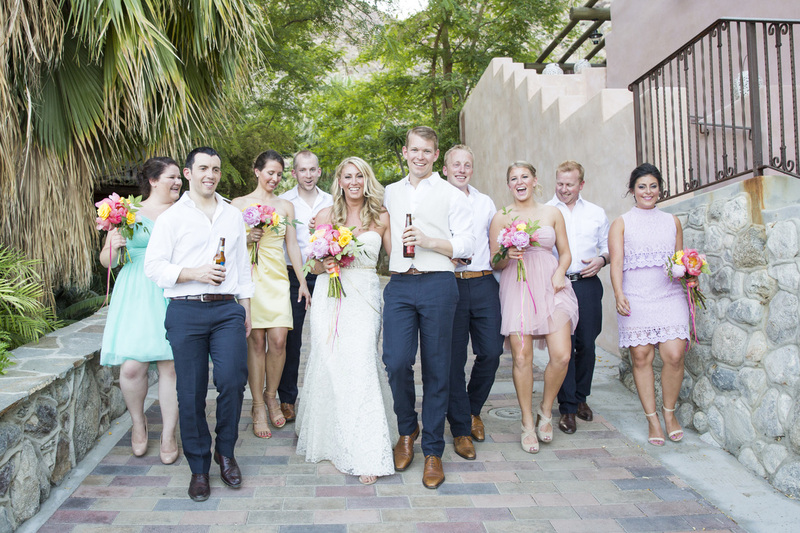 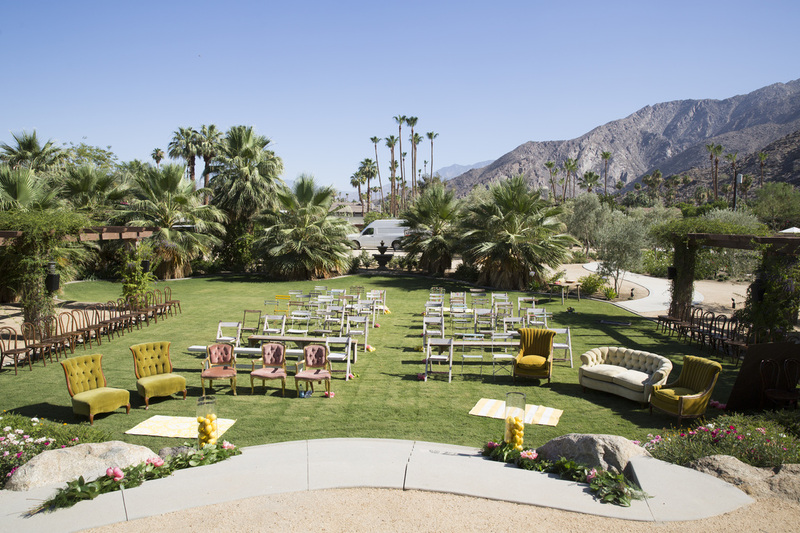 AJ and Lauren dreamed of having an amazing cocktail party-style wedding in Palm Springs with guests traveling from Seattle and around Arizona. 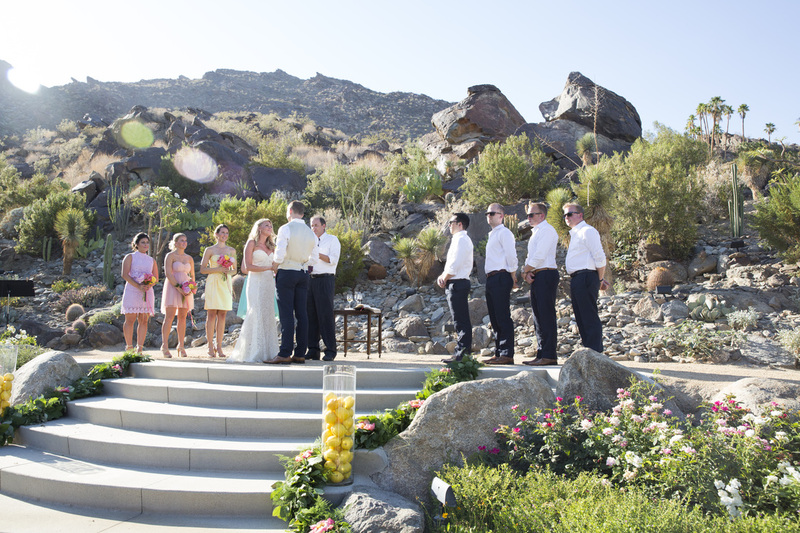 Vibrant citrus colors and the cool desert scape drew them to this destination. 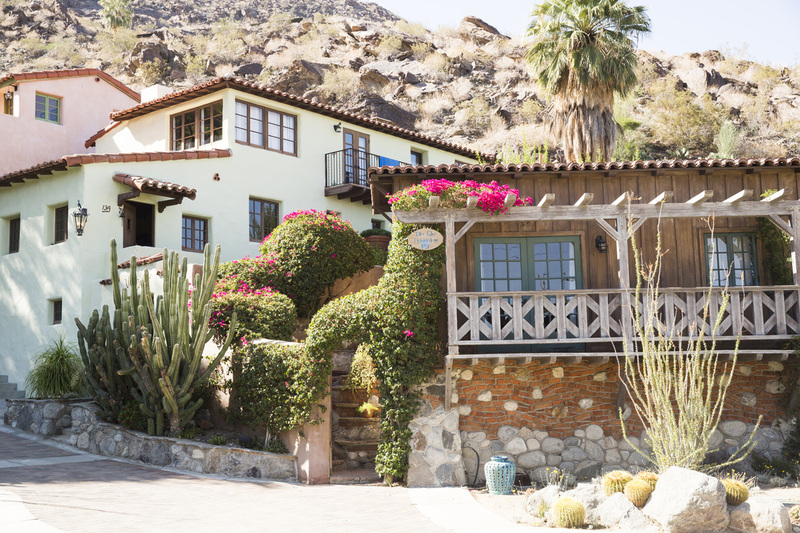 We searched high and low to find the perfect getaway venue and came up with an incredible private old artist community with a beautiful villa and casitas, all in Spanish style. 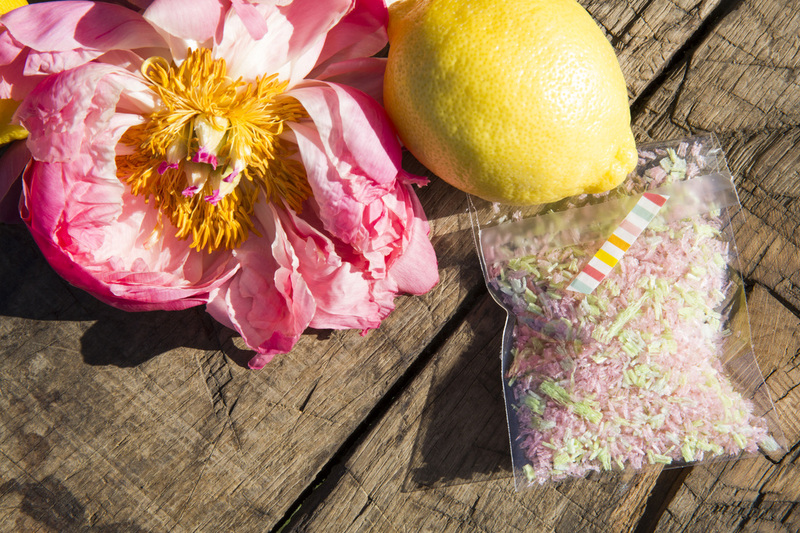 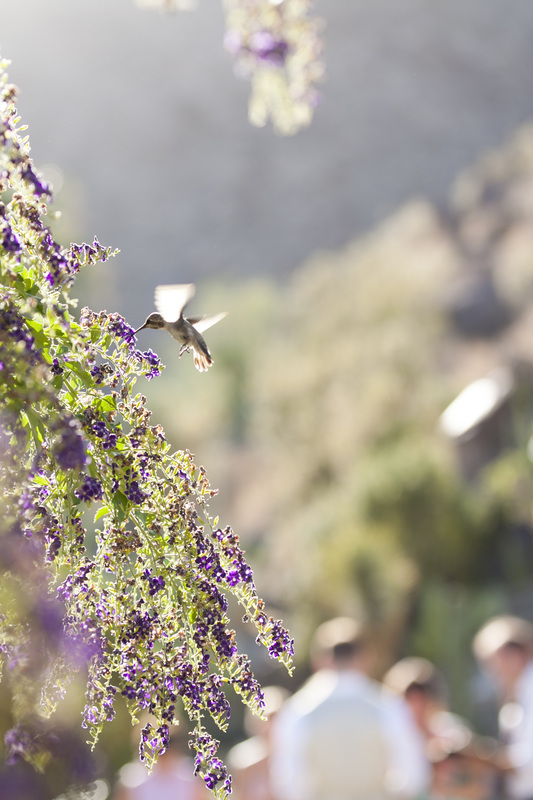 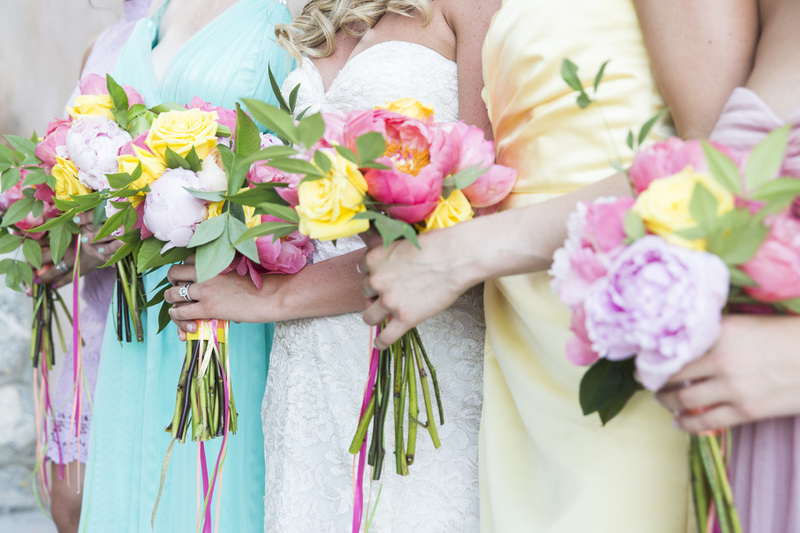 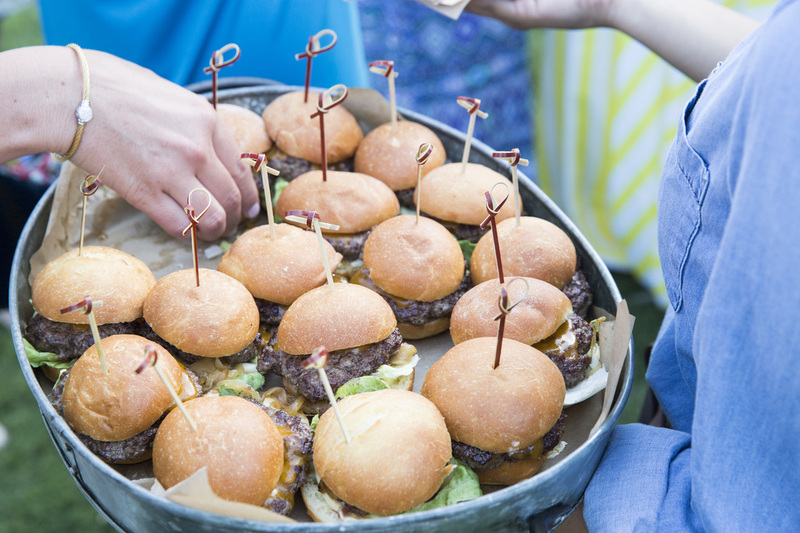 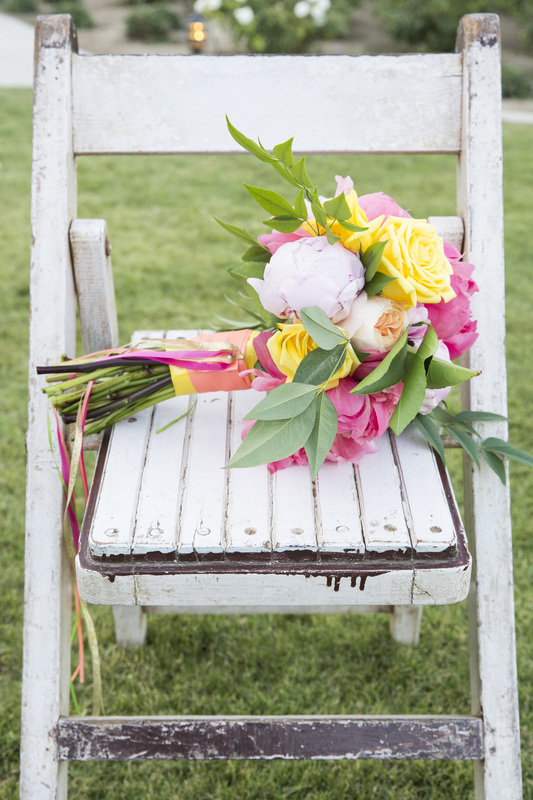 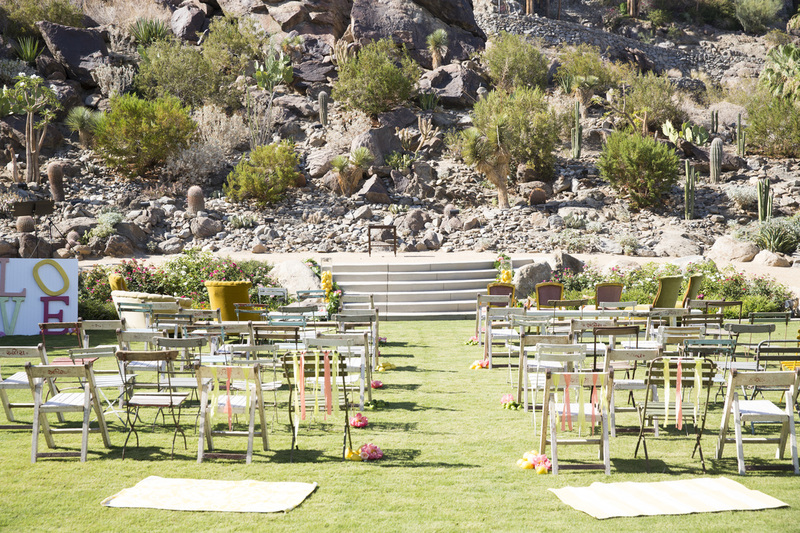 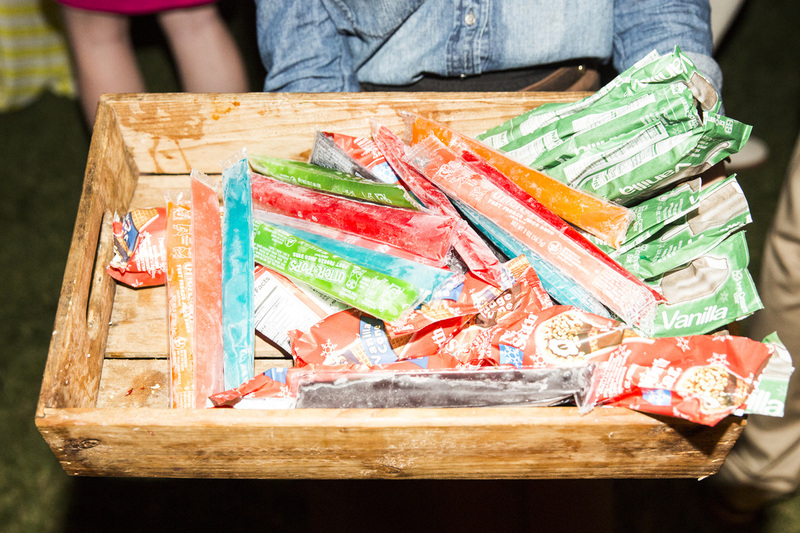 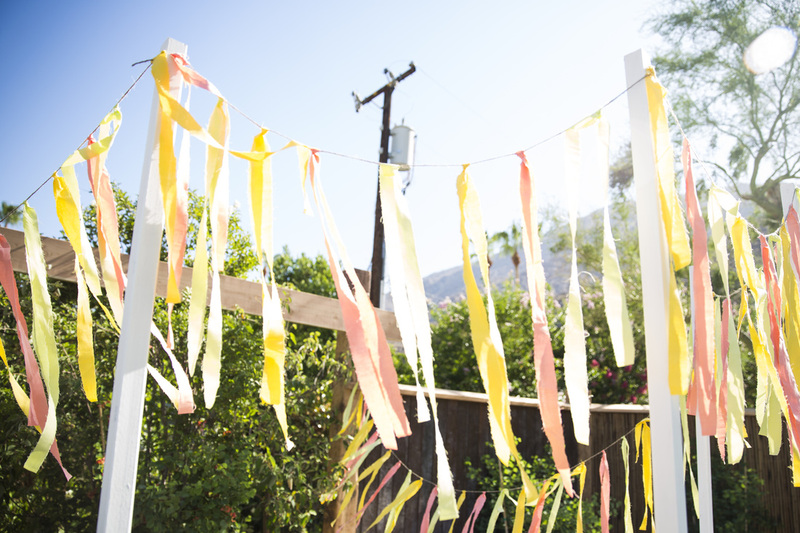 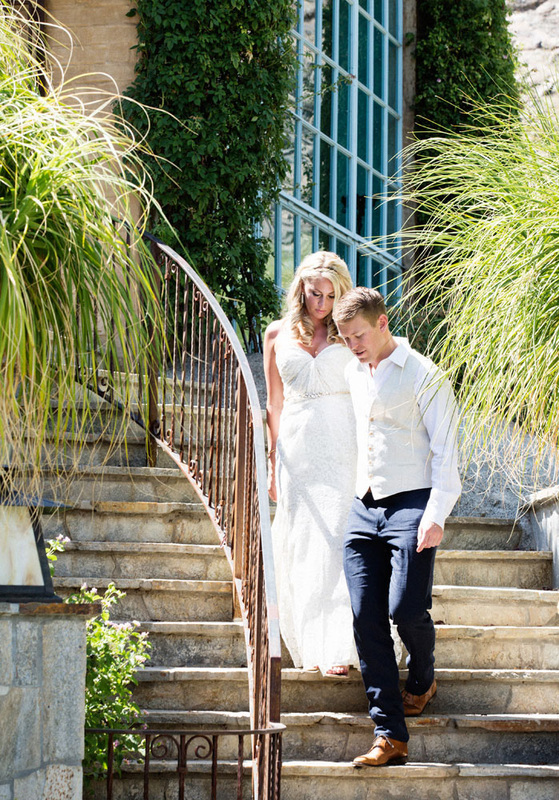 The grounds were perfectly primed for this kind of soiree. 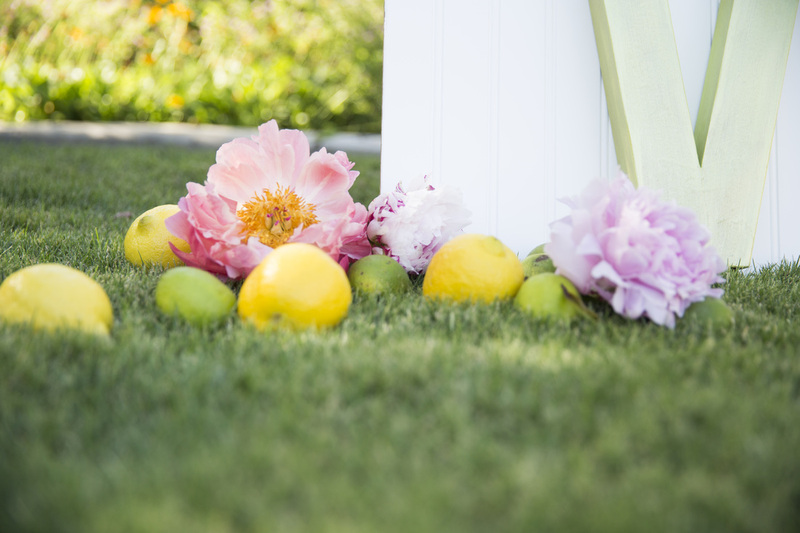 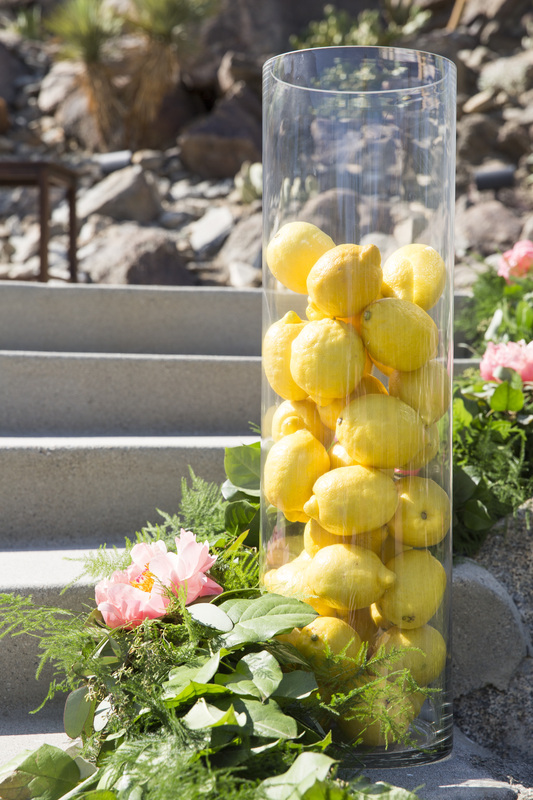 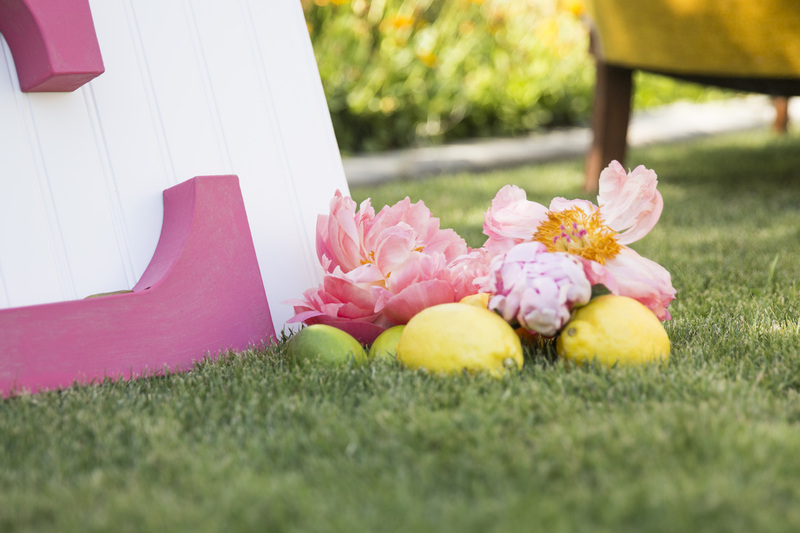 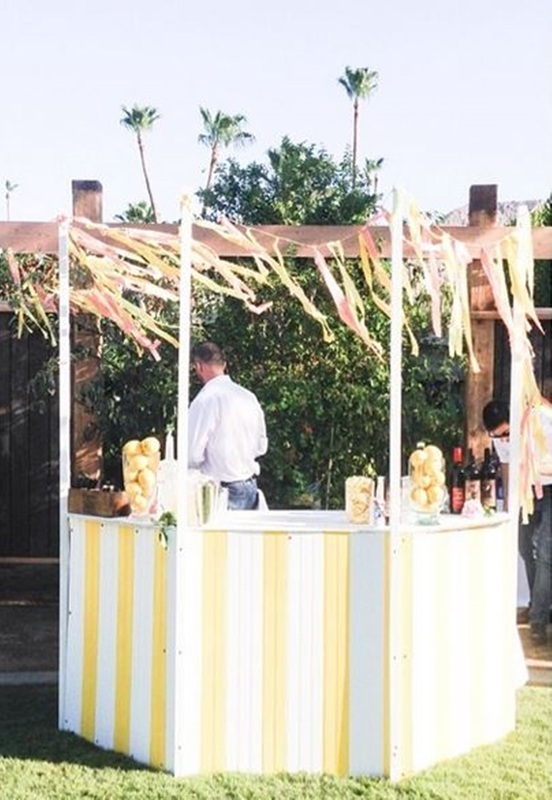 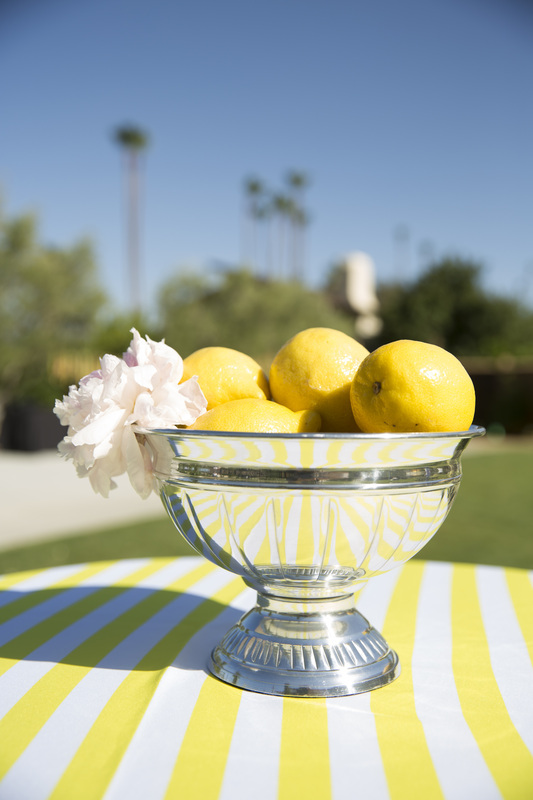 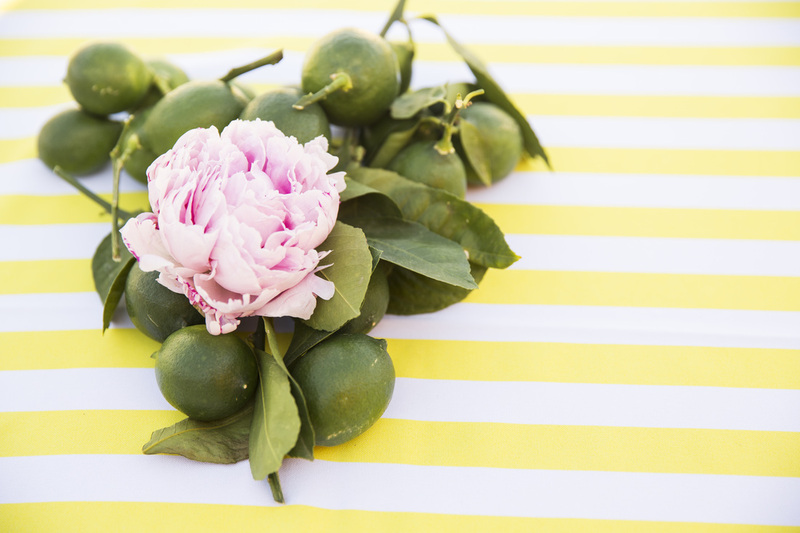 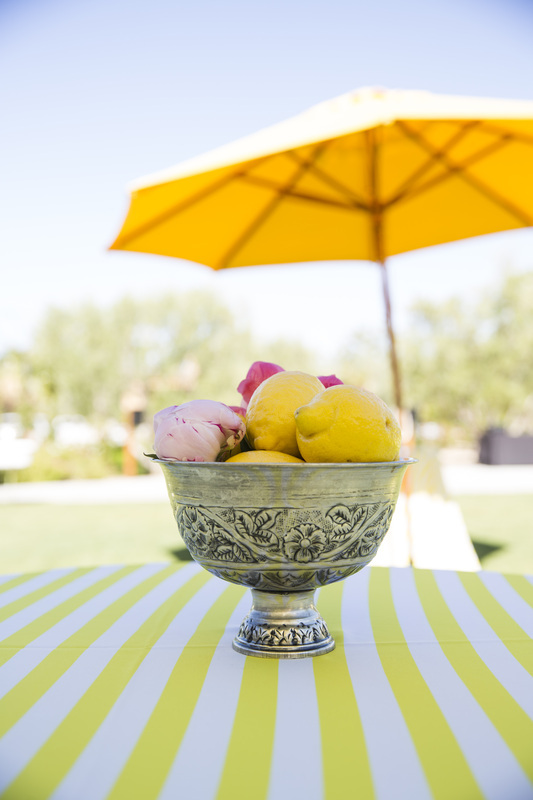 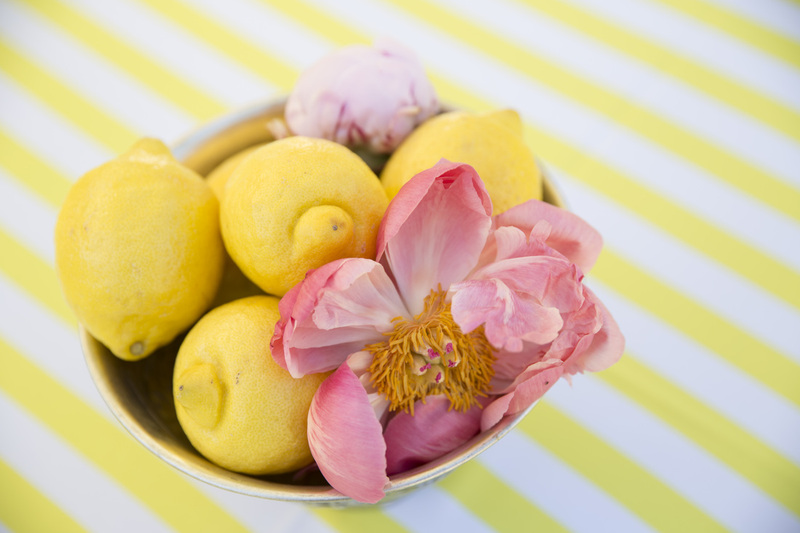 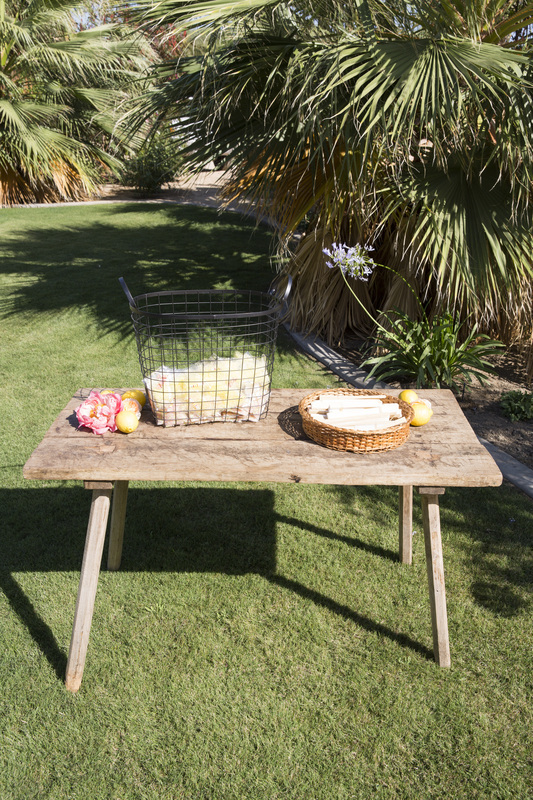 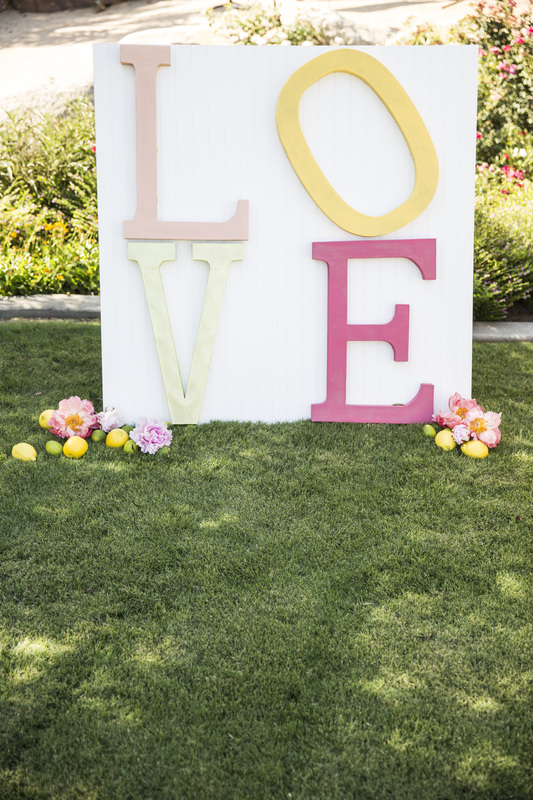 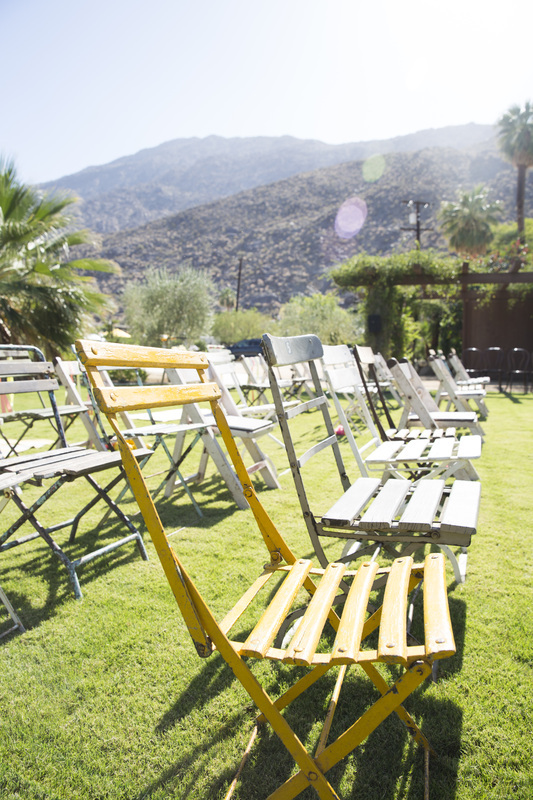 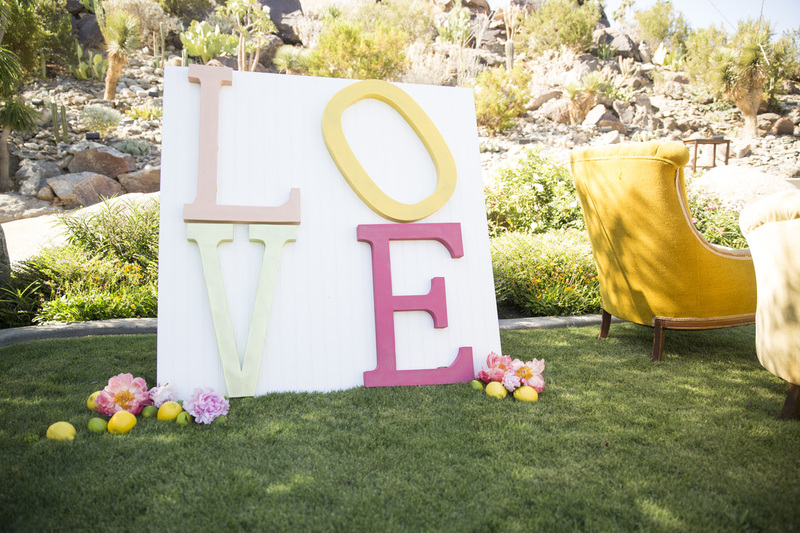 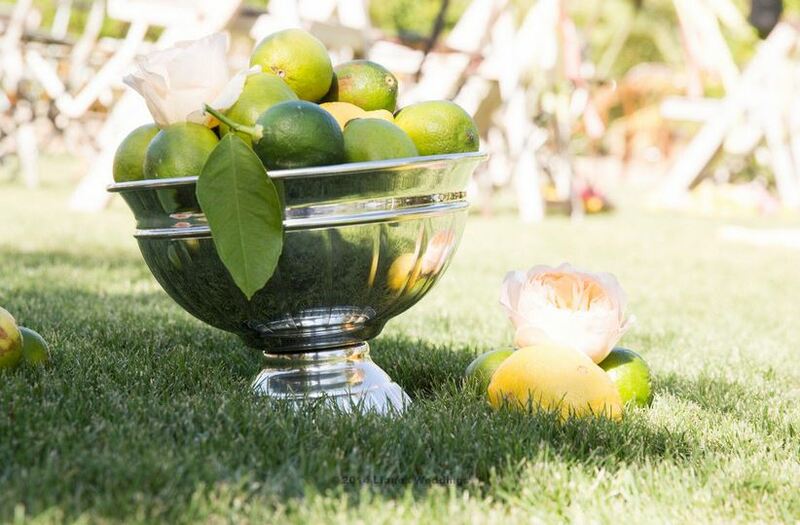 We planned to welcome 120 guests with a custom adult lemonade stand built just for our event, followed by the formal ceremony, complete with antique citrus-hued sofas and chairs transported from Los Angeles. 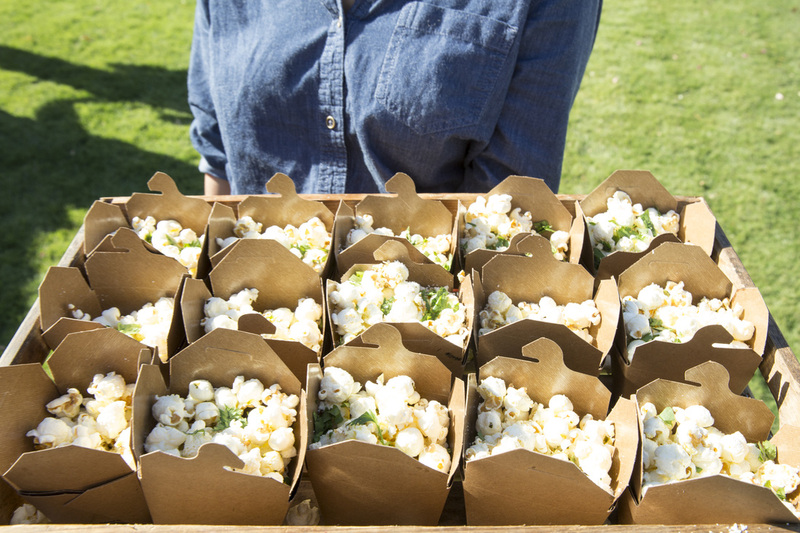 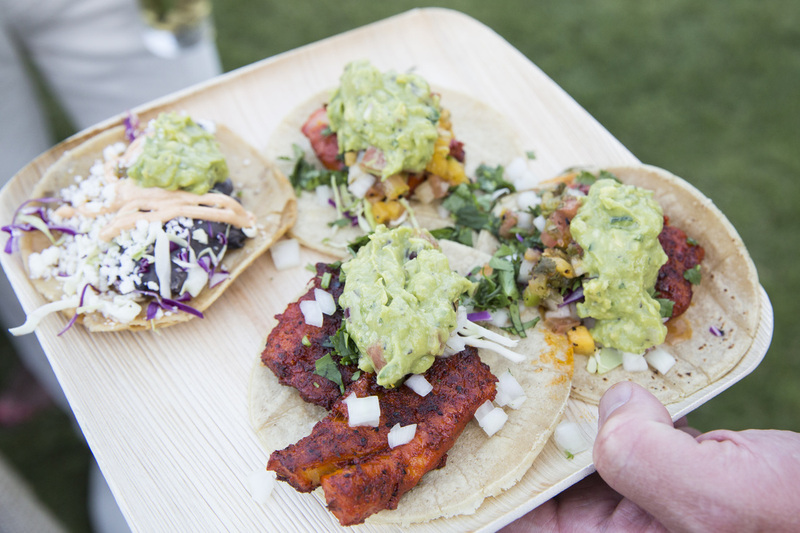 Guests enjoyed herbed popcorn, delicious street tacos, and some incredibly tasty fare all through the night. 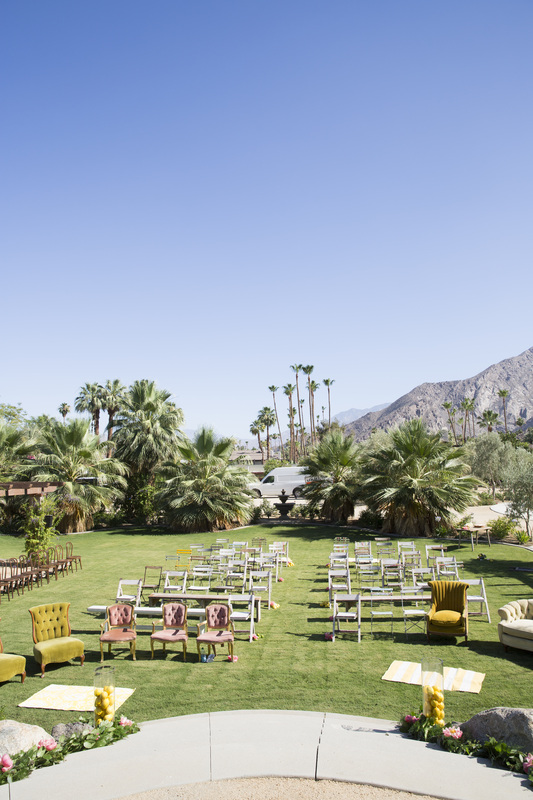 As the sun fell behind the mountains, chandeliers began to glow and guests partied into the wee hours, topped off with a dip in the pool!